Being a busy mother, I enjoy cooking delicious meals that are quick and easy to prepare. Growing up, my mom used to make this Lazy Woman’s Lasagna on a regular basis and now I know why; it’s extremely easy, quick, and tastes fabulous. Not only is this a great meal to make for a family dinner, but it’s an excellent “go to” meal when taking dinner to a sick friend or family member; it can be cooked right away, or put in the freezer for a later date. 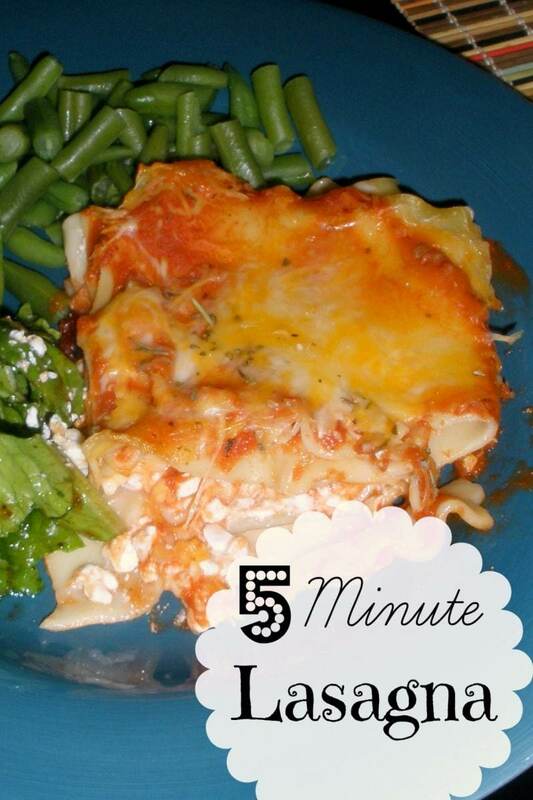 After cooking this 5 minute 4 ingredient Lazy Woman’s Lasagna, you’ll never make lasagna any other way. Bon Appetit! While noodels are boiling, spread a thin layer of spaghetti sauce (I prefer using Hunt's Garlic and Herb or Ragu's Garden Vegetable) in a 9 X 13 pan. 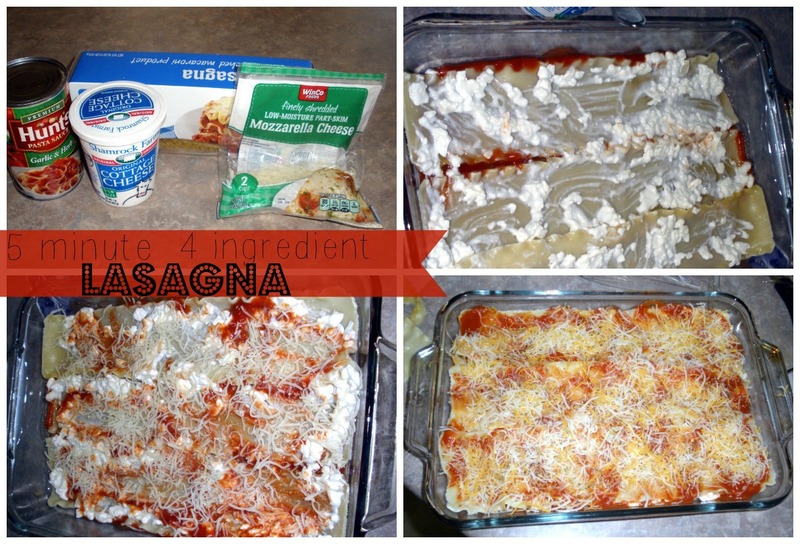 Want to serve your lasagna with a yummy side? Check out this Cranberry Walnut Salad recipe!